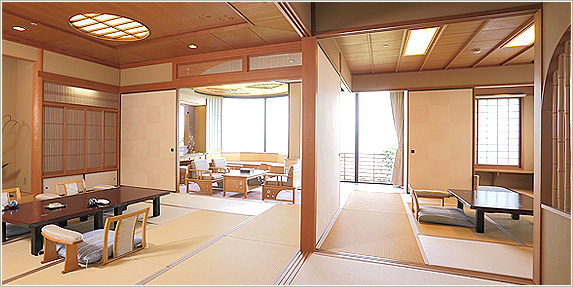 Situated in the most southern part of Kyushu, Ibusuki Hakusuikan offers traditional elegance in perfect moment. A sea-view opens before rooms, and guests can feel cool breeze through a garden of pines. 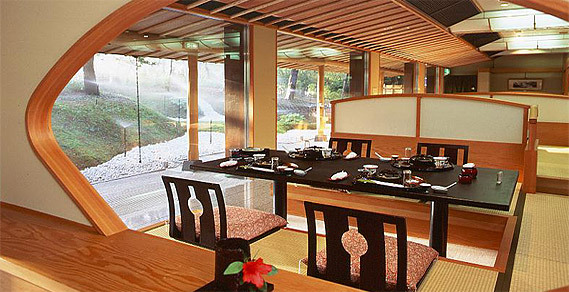 Dinner menus are selection of either finest Japanese Cuisine or Tokyo’s highly distinguished “Aqua Pazza” Italian restaurants delight. There are various spa types ie; Ukiyo spa, steam spa, bubbling spa, open-air spa, sand-spa, etc. Sand-spa could be seen in Ibusuki area, unique, and proved good for health. Open-air spa, called Roten Buro where you can hear sound of wave from ocean. Well known Sand-spa which date back to Edo period and has more than 300 year history.